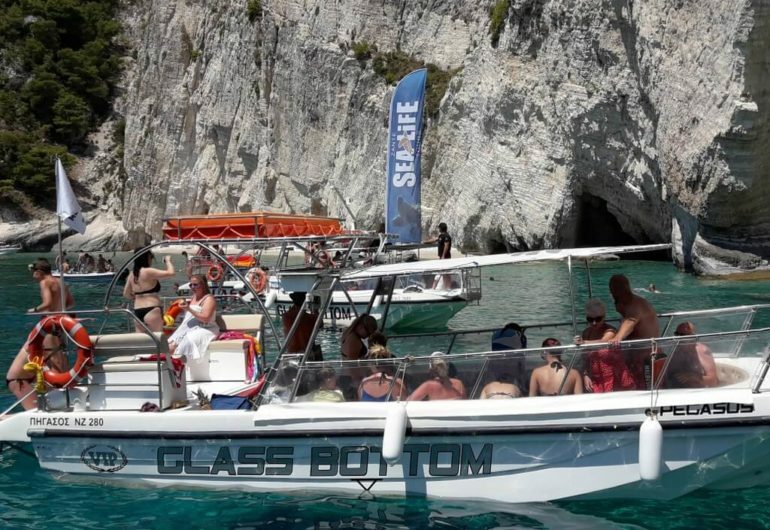 Special Designed Glass Bottom Boat – Capacity : 10 persons min – 22 persons max!!!! 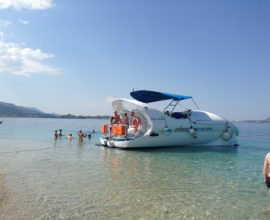 Only peter tours can provide you this unique boat! 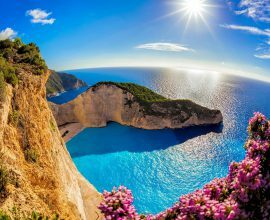 Voyage through the shimmering blue waters of the Ionian Sea on this natural life and touring journey from Zakynthos. 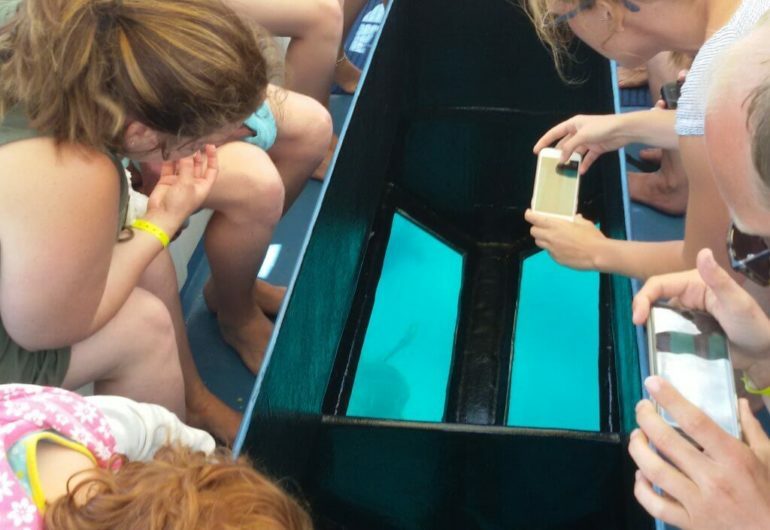 Spot local loggerhead turtles swimming in Laganas Bay, on a special designed Glass Bottom Boat, and take in perspectives of Marathonisi, nicknamed ‘Turtle Island’ on account of its similarity to the cute hard-shelled animals. 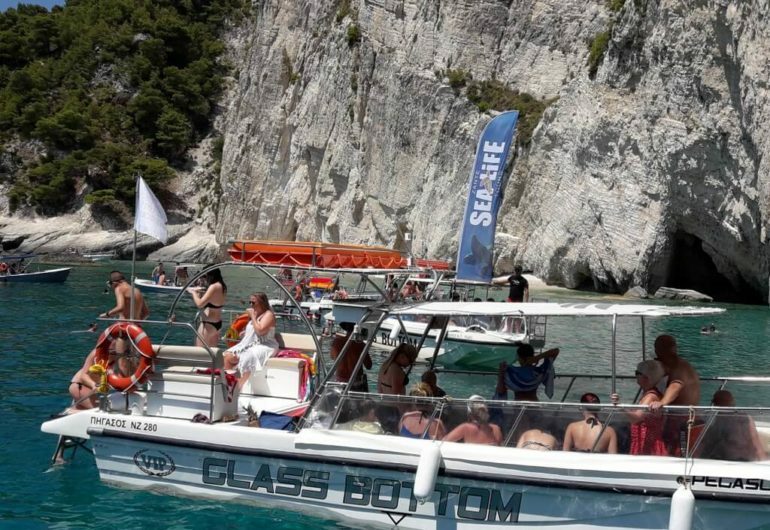 Draw near to the phenomenal rock developments of Keri Caves, where you can swim into the completely clear waters straight from the vessel. 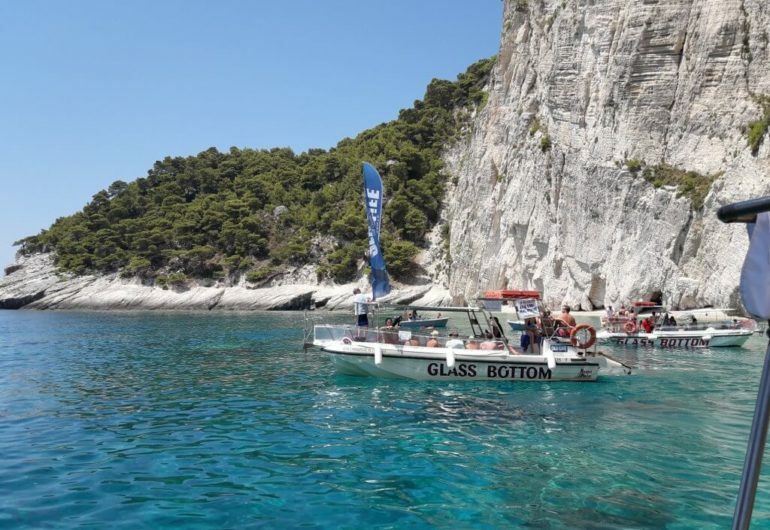 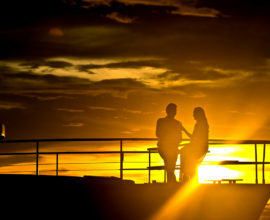 You will be taken to Agios Sostis, here you will reach to our boat and our captain. 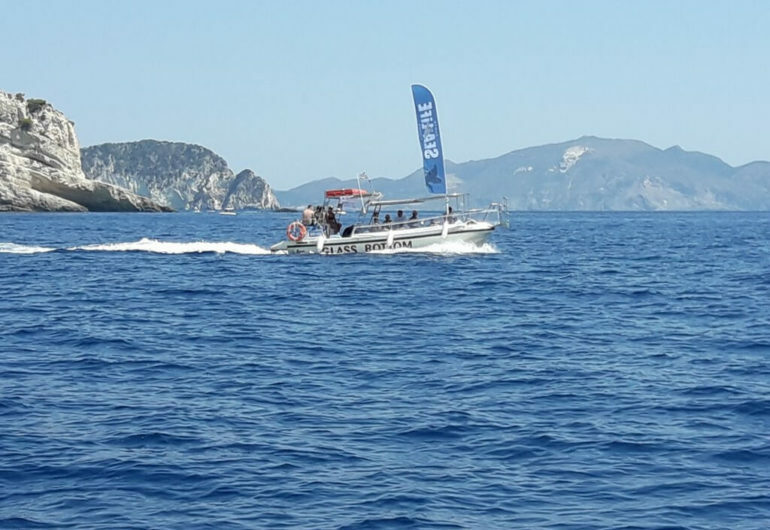 Right off the bat, you will sail to the lovely southern inlet of Laganas and invest energy endeavoring to recognize the astounding Loggerhead Turtles, known as “Caretta – Caretta”, a rare animal which lives up to 150 years, swimming in their common natural surroundings. 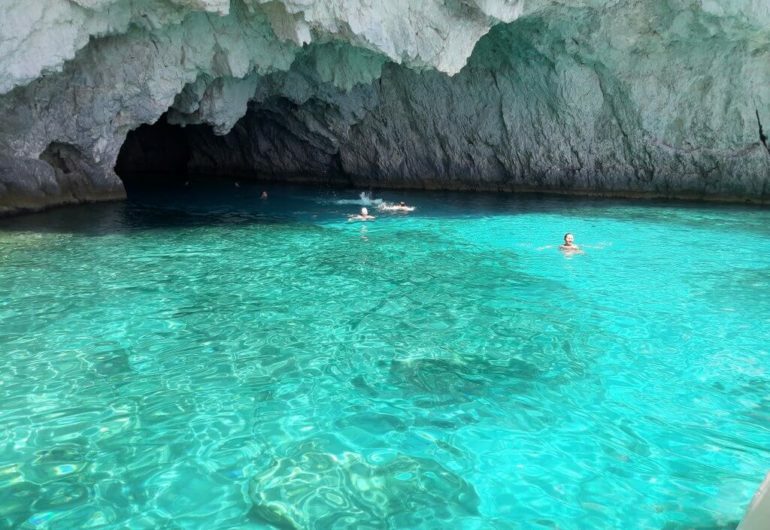 At that point we go to Marathonisi (Turtle Island), where you can see the turtle nests and then we take you to the Keri Caves appreciating the brilliant coastline en route. 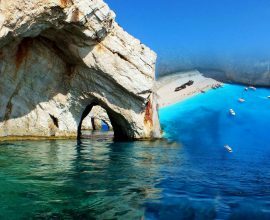 The captain will make stops for swimming (1 hour to Marathonisi – 20 min to Keri Caves), so you enjoy a dive in the staggering waters.